I remember the first time I saw her. Standing all alone in the water. I stood in awe at how beautiful she was. A true work of art. It was love at first sight. It was our first vacation together to the beach. Our first of many. I remember the first time I walked out on her, I stood so far out into the ocean. The beach looked so far away. I was so far out all the people on the beach looked like ants. I learned all about her. From the beginning when she was first being made until now. All the storms she had been through, everything that made her into the beauty she is today. I couldn’t help but wonder if other people looked at her the way I did. 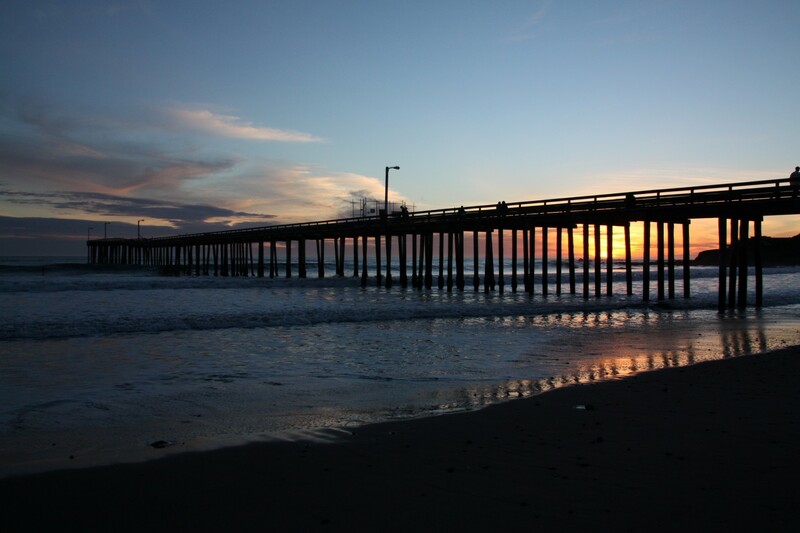 How many sunrises and sunsets have we seen from that pier? How many long talks have we had walking the beaches and that pier while holding hands? Every year, before we would go back, I would look at the old photos of us taken on that pier. The first one taken when we’re just dating, the first one taken as a married couple, the first one with our daughter as a baby and all the ones through the years as she, and we, grew older. 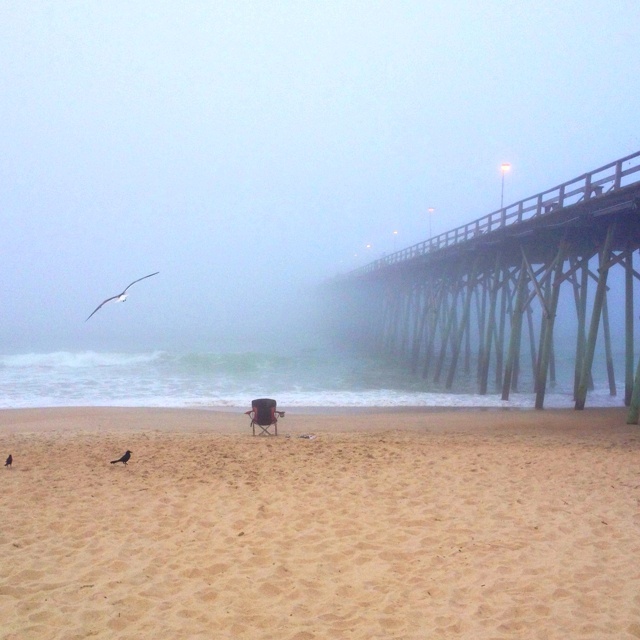 Throughout the years, I always knew the pier would be there when we were. The times when we would walk early in the morning and the fog was so thick we could barely see our hands in front of our face. But somehow, I knew the next step would land on the next plank. On the dark nights when we could not see the end of the pier because of the darkness, I still knew it was there. Then I looked at the last picture, the one from last year. The pier was showing her age but she was still so beautiful to me. Our daughter had grown so strong and beautiful, ready to go out on her own. There was something off about the picture though. There was a light missing from your eyes. Maybe the smile wasn’t as big as years past. Maybe it was just my imagination. I couldn’t get the thought out of my head. Do you believe in coincidences? As I was staring at the picture there was a breaking news alert. The hurricane hit the pier and she was gone. I couldn’t believe it. All those years of storms and sunshine, cold winter nights and hot summer days, all the things the pier had been through and now she was gone. A tear came to my eyes as I stared In disbelief. Was it real or was I dreaming? Was she really gone? All these pictures, all the memories, all of it gone. No, they were still there but as I looked at the empty space in the ocean I knew things would never be the same. I couldn’t help but look at the last picture again. The one where the light in your eyes was gone and your smile wasn’t as big. All the storms we have faced and survived. All the good days and the bad days. I couldn’t help shake the feeling that a storm was coming. A storm bigger than we have ever faced before. We will survive it or we will fall like the pier? What a hauntingly beautiful post… so sad. You create such amazing word pictures, Robert! Thank you. Your paintings create great stories. A picture tells a thousand words.